(?) Means married (?) Sickmon. Blanche C. Peters married Orville Charles Houghton, son of James V. Houghton and Sylvia Dane. Carl Houghton married Eutha O. Steele in circa 1918 age 23 and 17. Carl Houghton and Eutha O. Steele were divorced. Caroline A. McCormick married Edward Rufus Houghton, son of Henry Homer Houghton and Emma A. Goodell, in Apr 30, 1902 at Tippecanoe, IN, USA, age 26 and 20; Book:C-23; p. 364. Divorce Mar 1, 1939 Globe, Gila Co., AZ, USA, on grounds of "non-support"
Cavet Hunter Houghton married Martha Dora Barns. 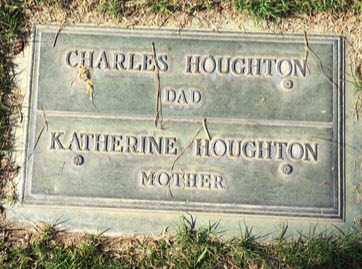 Cavet Hunter Houghton and Martha Dora Barns were divorced. Cavet Hunter Houghton married Mrs. Myrtle Graff in Jun 23, 1937 at Globe, Gila Co., AZ, USA, Globe, AZ Hist. Records Book 10, p. 83. Cavet Hunter Houghton and Mrs. Myrtle Graff were divorced on Mar 1, 1939 at Globe, Gila Co., AZ, USA, on grounds of "non-support." 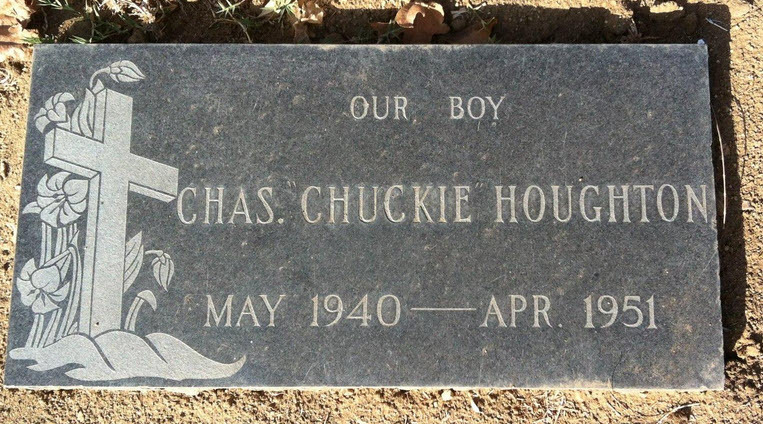 Cavet Hunter Houghton married Bernice Farley in Feb 16, 1942 at Globe, AZ, USA. Cavet Hunter Houghton and Bernice Farley were divorced on Sep 6, 1946 at Globe, AZ, USA. 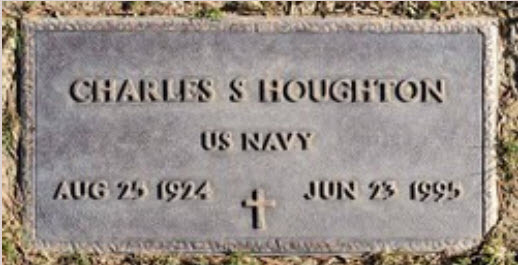 Cavet Hunter Houghton married Effie Louise O'Dell in Sep 6, 1946 at Globe, AZ, USA. Cavet Hunter Houghton and Effie Louise O'Dell were divorced at Globe, AZ, USA. Cavet Hunter Houghton and Betty Jordan were divorced. Marriage married H.M. Baker and had 4 daughters and one son Ed Baker,never married, Mrs. J. W.(Lena Baker) Leath, Hico TX; Mrs. Charles Cleburne (Eula Lee Baker) Basham, Turnersville, TX; Mrs. James or Jim Dixon (Alene Baker), McGregor, TX; and Mrs. Stella Baker Hill, Gatesville, TX. 1940 Census 1940 Globe, Gila Co., AZ, USA, age 72, "widow"
Her second marriage was to William Hunter Houghton as Mary Baker; mar 4 y in 1910 census on Aug 5, 1906 at El Paso, TX, USA. Mary Corine Cavet and William Hunter Houghton were divorced on Feb 15, 1927 at Tucson, Pima Co., AZ, USA. Charles Clifton Houghton married Barbara Louise Nangle. Philoma Clarissa Sorrell married Charles Houghton, son of Charles Alexander Houghton and Clara E. Koontz. (?) Arganien married (?) Houghton. 1920 Census 1920 Chicago, Cook Co., IL, USA, age 33, service manager, Goodyear Tire Co.
Meryl B. Towson married Charles Palmer Houghton, son of Charles Seymour Houghton and Sarah Macgregor, in circa 1910 age 23 and 21. Charles Shadrach Houghton married Alma Vada Forster. Charles William Lester Houghton married Carmen Corrente.